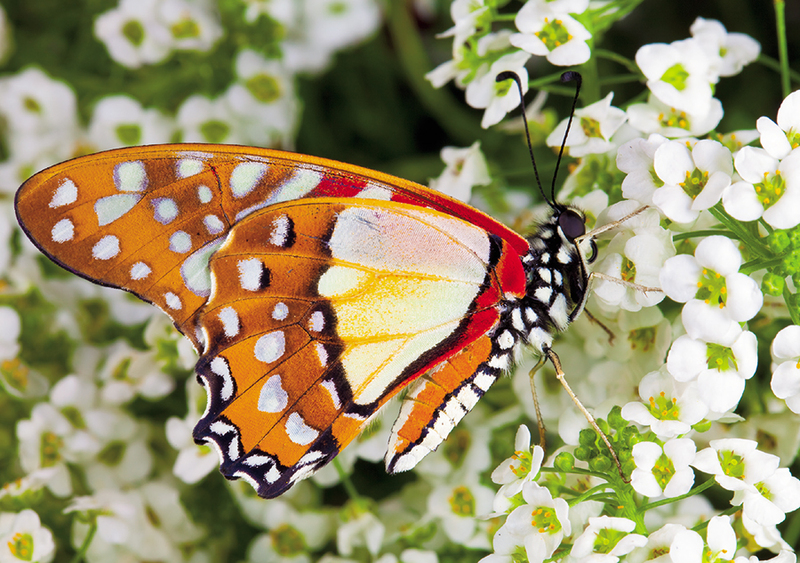 The Angola white lady butterfly (Graphium angolanus) is found abundantly throughout much of Africa. Despite being a member of the swallowtail family, this species sports no tails. This lack of formal attire does not diminish the males’ allure. Their hind wings contain tufts of androconial scales that emit pheremones, making these white lady gentlemen irresistible to would-be mates. Small groups of five or six dapper males can be found quaffing moisture from damp patches of ground or shooting the breeze near clumps of wild daisies.